The cranes swinging within a few yards of my building were not of much comfort. Also, since the construction workers had an excellent view of my apartment, I had to be cautious about my daily activities! In spite of the huge sign saying "Safety First," I didn't always feel safe. 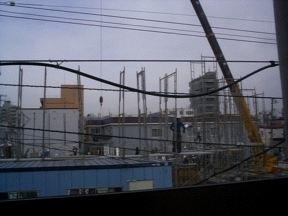 At the same time, I was fascinated, especially with the speed of the construction. 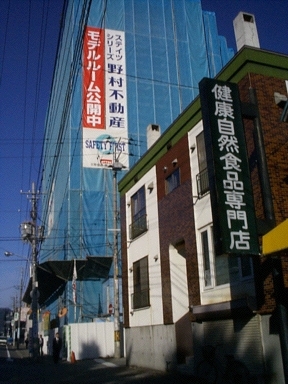 It also didn't help that, once the building on the side was completed, construction on the building behind my apartment took another year! 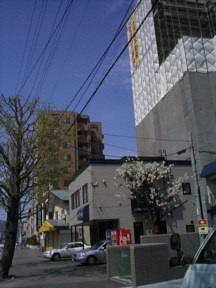 See more photos from 2001 showing my apartment AFTER construction.